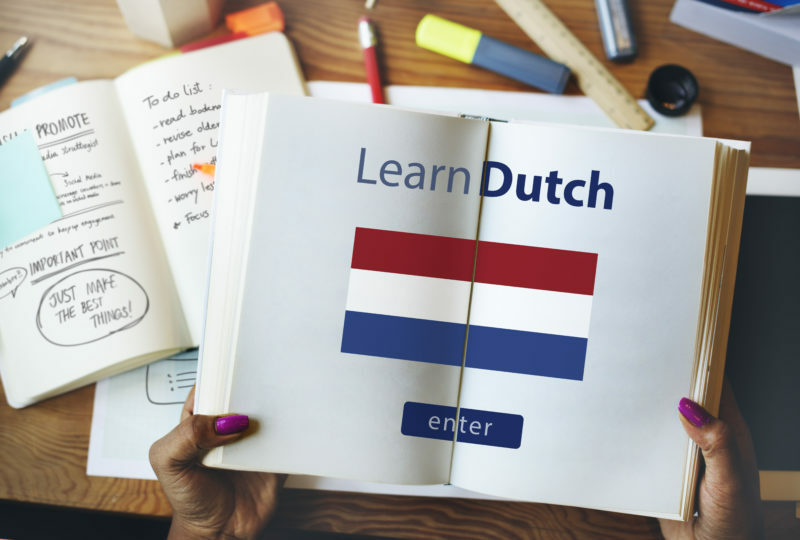 When learning a language such as Dutch, it will be important to learn basic fundamentals of the language. This includes punctuation, grammar and vocabulary. Anytime you are looking to learn the vocabulary, one of the things that will be very important is leaning how to introduce yourself. Learning how to make basic greetings is one of the first things you will want to accomplish when looking for a way of how to learn Dutch by yourself. When looking for a way on how to learn Dutch by yourself, you will benefit learning greetings so that you can start a conversation. Once you learn basic greetings, then you will be in position to more easily communicate with Dutch speakers. The first step in learning Dutch is to learn the vocabulary. When looking to learn the vocabulary, it will be important to first study things such as how to greet people and introduce yourself. This part of the vocabulary will enable you to begin talking to people and give them a proper greeting when interacting with them. With the Dutch language, there are a number of basic words that you can say that will enable you to introduce yourself and begin talking to a native Dutch speaker. These words will benefit you in both social and professional settings. When learning the vocabulary, you will also benefit by learning how to say goodbye to someone and classifying individuals and places. One of the first steps in learning Dutch is to learn how to introduce yourself. In Dutch, there are a few words and phrases that will enable you to accomplish this task. You will want to learn how to say things such as I, my name is and I am in Dutch. When looking to say I, the Dutch word for that is ik. For saying my name is, the Dutch words are ik heet and for I am, the Dutch words are ik ben. These are very simple words and phrases that will allow you to learn the fundamental things to say when introducing yourself. The particular words and phrases will give you a valuable first step in learning the Dutch language. Another part of the Dutch language that you will need to learn is on how to classify different types of people. This will be important whenever you are looking to determine a person’s gender as well as whether they are a child or an adult. Like the basic greetings on how to introduce yourself, classifying people is quite simple. You will just need to say a couple of basic words that are easy to remember. For the man, the Dutch words are de man. For the woman, the Dutch words are de vrouw. Whenever you are looking to say the boy in Dutch, you say de jongen and het meisje for the girl in Dutch. The next aspect of Dutch that you will want to learn is how to greet people. These are ways to address somebody when interacting with them. Whenever you are looking to greet people in Dutch, you will need to learn how to say things such as hello, hi, good morning, good evening and good day. Fortunately for those who want to learn Dutch, the words and phrases are quite simple. When looking to say Hello in Dutch, you will say hallo. For hi you say hoi. If you are looking to say good morning, you will need to say goedemorgen and if you are looking to say good evening, you can say goedenavond. Once you learn these words, you will be in position to properly greet people in Dutch. When you are studying Dutch, you will also want to learn how to end a conversation by saying goodbye. There are four main words that you can say in order to give someone an ending greeting. The main words and phrases that you will need to learn in Dutch are good day, see you, until and bye. In Dutch, these words and phrases aren’t too complicated. If you are looking to say see you, the Dutch phrase is tot ziens. Anytime you are looking to say until, the Dutch word for that is tot. If you are looking to say bye, the Dutch equivalent is doei. Lastly, anytime you are looking to say good day, the Dutch word is goedendag. After learning the basic vocabulary on how to greet others, classify them and introduce yourself, it will be important to enhance your knowledge by completing a number of visual vocabulary exercises. This will be a great way to test your knowledge as well as give you a better idea of what to say in a given situation. It will also help you get a better understanding of what the words mean and how to say them properly. Visual exercises are among the most valuable tools you can use whenever you are looking to learn Dutch by yourself. When you are looking to learn Dutch with vocabulary exercises, another good way to do this is to learn it through context. With context, you will be able to get a better idea of when and how to say these words. You will learn the appropriate time to say these words and phrases when talking to other Dutch speakers. Learning vocabulary in terms of context will give you a better idea of the meaning of the words and how to say them in everyday conversations. Therefore, doing vocabulary exercises in terms of context are very beneficial if you are looking to get a firm grasp on how to speak and understand Dutch. Whenever you are looking to learn Dutch, it will be important to track your progress and your knowledge. One of the best ways to do this is to take tests. There are plenty of tests that you will have the opportunity to take. However, you will want to take the test on how to introduce yourself. On this test, you will be given a number of questions to answer. You will want to make sure that you answer most of them correctly so that you can assure that you have learned an adequate amount of the subject matter. In case you get most questions answered incorrectly, you can go back and study the vocabulary more and then take the test again. Fortunately for those looking to learn this part of Dutch, the test is not very difficult to perform well on. With a combination of studying vocabulary and taking tests, you will be in position to learn this important part of Dutch by yourself.